My enemy and I circle around the clearing, eyes locked. Or at least, I think our eyes are locked. The Samurai standing across from me wears a mask, though the corner’s dented where I connected with my sword a few seconds ago. The next hit could be the death of either of us though, a one-on-one duel that’s gone on for what seems like hours. My palms are sweaty, my arms sore as I shift the weight of my claymore back and forth—first left, then right, left again, then up above my head. My opponent mirrors my actions, both of us looking for an opening. Then a fat Viking bursts through the trees and stabs my opponent in the back. “I’ve got your back,” he yells, before taking off again. For Honor is a bizarre game. But also sort of brilliant? For Honor’s new Elimination mode is what hooked me. 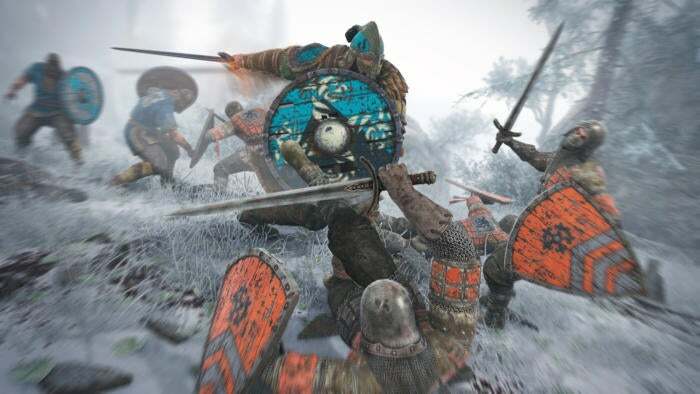 This is the third or fourth time now that I’ve seen a demo of Ubisoft’s upcoming Knights vs. Samurai vs. Vikings game, but it’s always been in Dominion, the game’s Battlefield-esque point capture mode. And that mode’s interesting enough. Despite being a four-on-four mode, mobs of AI soldiers fill out the ranks and make it feel like a large-scale conflict, Titanfall-style. The mobs are weak, dumb soldiers dispatched by the dozen with every lackadaisical swing of your weapon, but it gives some context to the war even if your primary targets are still human-controlled heroes. Elimination dispatches with the artifice though. It’s a straight four-on-four fight, with no AI mobs or distractions. And it’s here that For Honor’s combat really shines. I wasn’t in love with For Honor’s swordplay in our previous coverage. It felt a bit simple—just move the stick into the Left, Right, or Up position and try to either match your opponent’s stance (on defense) or outwit them (on offense). It’s like thinly-disguised rock-paper-scissors. That hasn’t changed. 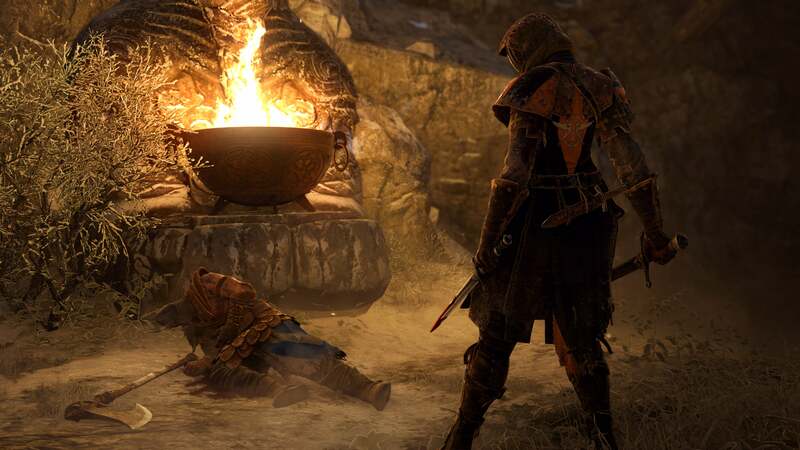 But paring the game down to hero-on-hero combat pushes For Honor’s best aspects into the spotlight. Fights become a delicate dance, trying to outmaneuver your enemy, slip past their defenses with a quick hit before they can adequately react. It’s about feinting, using your limited tools to trick your enemy into exposing weakness. It feels, oddly enough, like playing Divekick. Divekick, if you missed it in 2013, is basically the world’s most stripped-down fighting game. In its original incarnation you had two buttons: Jump and Kick. First hit won the round, so it became a game about faking out your opponent, somehow drawing them into a weak position with some combination of movement, jumping, and kicking. It’s one of my favorite fighting games, if only because mastery is more about psychology than memorizing lengthy combos. It reduced fighting games to a puzzle. 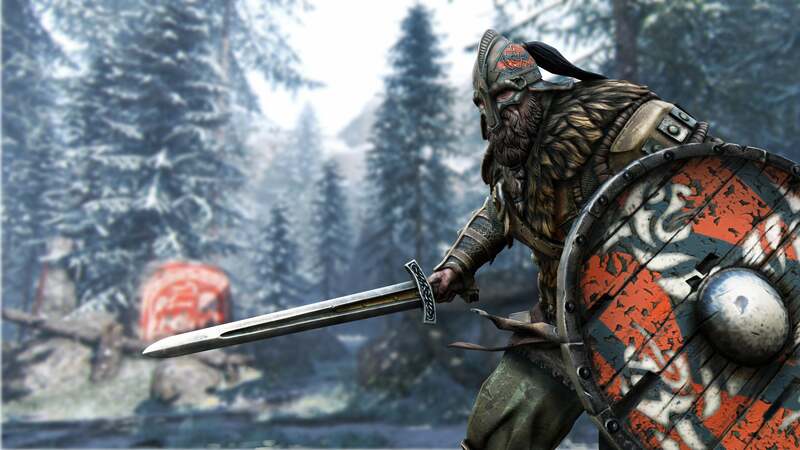 For Honor is larger and flashier, but relies on the same principles. Its seemingly limited set of combat maneuvers is actually the set-up for a fantastic battle of wits between two players, a dance where the first person to slip up is likely to lose their life. There are layers to it. 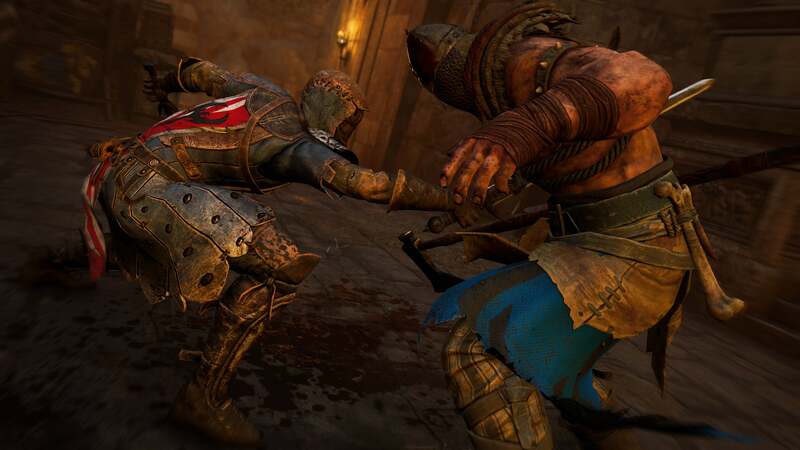 For all that Chivalry has a more realistic and complicated fighting system and War of the Roses has faster-paced, more fluid combat, For Honor stands out because of how cerebral everything feels. Reflexes will only get you so far, especially when you’re only dealing with human players. I’m also impressed by how important and varied For Honor’s class system feels. Though there are Light/Medium/Heavy archetypes, it’s fascinating to me that it’s not a one-to-one parity across factions. 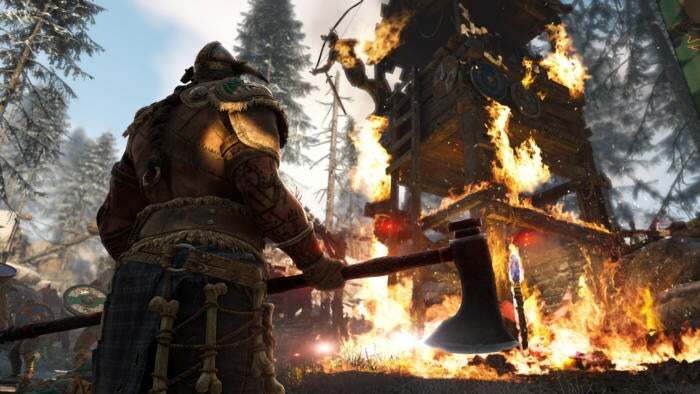 The way the Viking’s heavy-hitting Warlord class wields a sword and shield is completely different from the Samurai’s equally-heavy Shugoki, with his waddling stride and kanabo club. Mastering those nuances is an essential part of the game. And this has nothing to do with playing the game, but Ubisoft showed off some of the multiplayer’s meta-level, which has to do with an overarching war between the three factions. The most interesting bit is that For Honor will change up how a map looks depending on numerous factors, including who’s currently the “Defending” team and the weather conditions. It reminds me of Evolve’s maps, which in one game mode would change to reflect certain team actions. 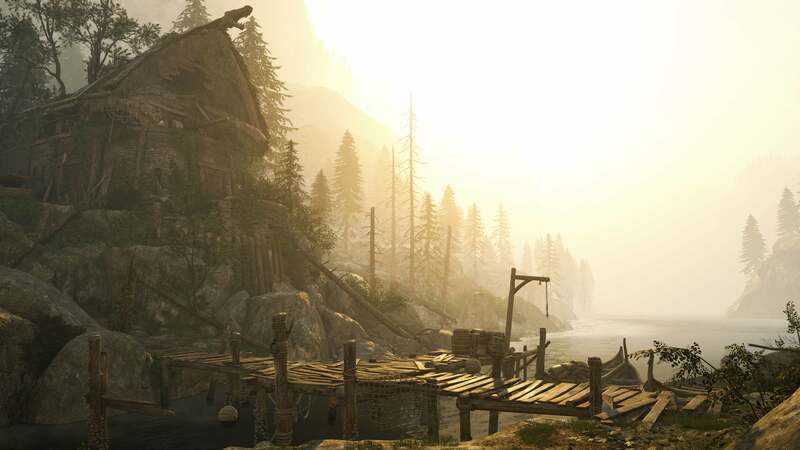 The upshot is For Honor launches with 12 maps, but each has 4-6 variations. Kind of cool, and something I’d like to see in more games. Unfortunately I don’t think For Honor’s best moments make the transition to singleplayer. Not that I’m disinterested. Far from it. For Honor’s whole “Knights and Samurai and Vikings all fell into an alternate dimension and are fighting each other” schtick is bizarre enough that I want to see what happens. Like, in a “Wow, I can’t believe this game even bothered with a self-serious singleplayer campaign” way. The problem is that you lose out on the whole human-versus-human aspects I discussed above. I played two missions at our press event, one focused on the Viking campaign and one on the Knights. (All three are playable separately, from the start.) The Viking mission had me invading an enemy village to steal their food and supplies, while the Knight mission put me in the role of Mercy, a Peacekeeper (assassin-type character) infiltrating a stronghold to sabotage a giant elevator. Similar setups, though very different tones—the Viking mission is loud and rowdy, the Knight mission a stealthy nighttime ordeal. The core was basically the same though, with each pitting me against dozens of hero-type characters, meaning the slower rock, paper, scissors style of combat. But it just doesn’t provide the same thrill against an AI. Where humans are an unpredictable foe, in the campaign you’re just left fighting the same mobs over and over and over. 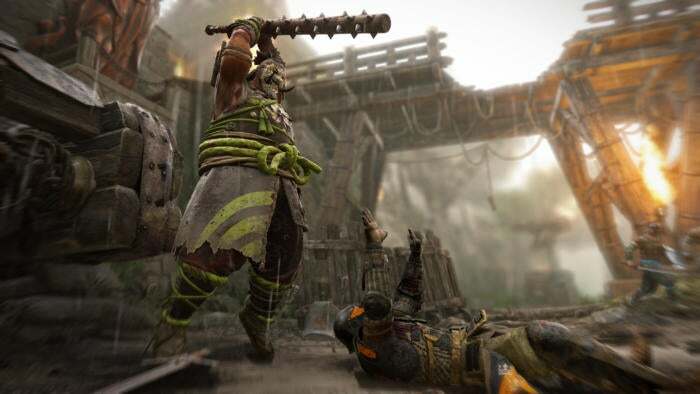 It’s here that For Honor’s limited combat options feel a bit rote, as you use them to dispatch enemy after enemy with what essentially feels like a shiny rhythm game. “Make sure you match your sword position to the enemy when this prompt appears!” It’s slow and a bit repetitive. Pre-release precautions apply, as always: We only played these two missions, and who knows what else might be in store? Maybe Ubisoft’s found a way to keep it from getting stale, be it by shaking up the objectives or because the story’s just that incredible. Maybe. Point being, I’m not willing to pass judgment yet. I wasn’t overly impressed though, and found myself wishing we could just get back to multiplayer. The campaign felt like it’d make good practice for someone who wants an engaging and somewhat-lengthy tutorial, but the player-versus-player action is clearly the main draw. For Honor’s growing on me. The more I play it, the more I find hidden depths to its combat—not so much on a mechanical level, but on a deeper cerebral level. There’s a real fighting-game feel to this brawler, a sense of getting into your opponent’s head, of reacting on primal instinct. It’s deceptively similar to real swordplay in that sense, I imagine. 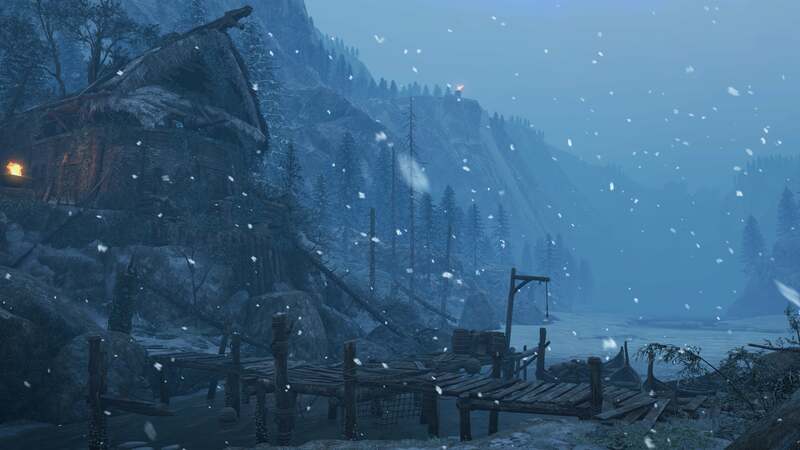 Look for information on a Closed Beta (of the mostly-for-marketing variety) in January if you’re interested, with the game’s full release a scant month later on February 14.